Most leadership problems are not due to the lack of technical skills, but the lack of communication skills and relationship building skills. Organizations invest millions on technical skill development, but only the bare minimum in developing leaders with the ability to use communication strategically to meet organizational objectives. Communication is the one skill that is absolutely critical to leadership success, yet communication is somewhat devalued in the workplace. Listen to the language to hear the misalignment. We refer to communication skill building as soft skill training instead of a critical skill necessary for No-Drama Leadership in todays fast paced world. 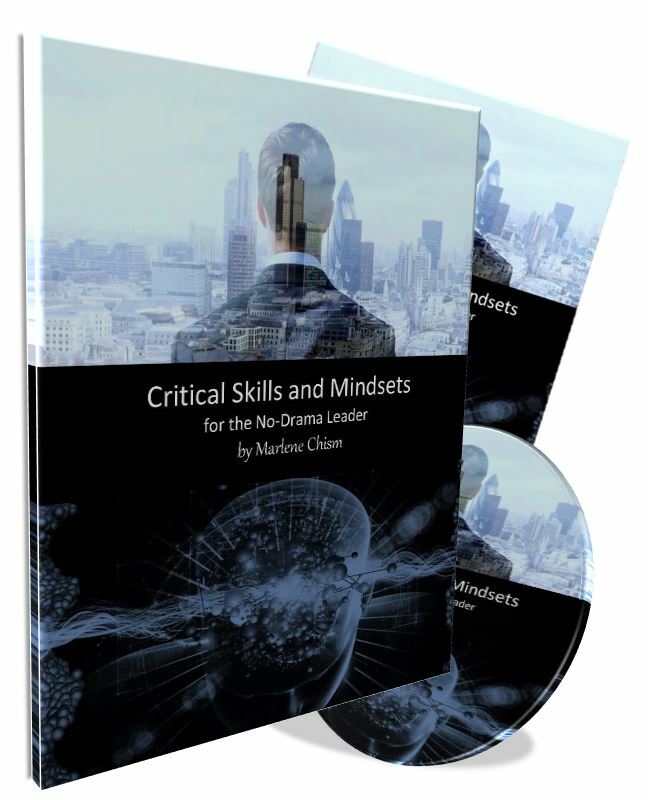 Without the critical skills and mindsets, leaders make many unintentional mistakes resulting in wasted time, lost productivity, low morale and eventually turnover. In both your personal and professional life, you have to constantly deal with who have less ability to communicate, those who are less awareness of their emotions and triggers, and those who are very short sighted, impatient, self-serving and less than articulate. Doesnt it make sense strategically to be the one who is more aware, more capable, more articulate and more strategic? Doesnt it make sense to acquire the ability to get along with all types of people? Yet most of us have a limited mindset when it comes to learning how to be a better communicator and better relationship builder. My goal is to change your mindset today and offer you some ideas to support you on your leadership journey. Want to use this program to develop yourself or future leaders? Heres how! Has your open door has become a revolving door? Is there a bully in your workplace? Want more control? Want to know a big challenge for most leaders? What is the outcome of avoiding difficult conversations?